Being the non-committal person I am, I’m not sure yet if I’ll return to Sydney to live later this year. 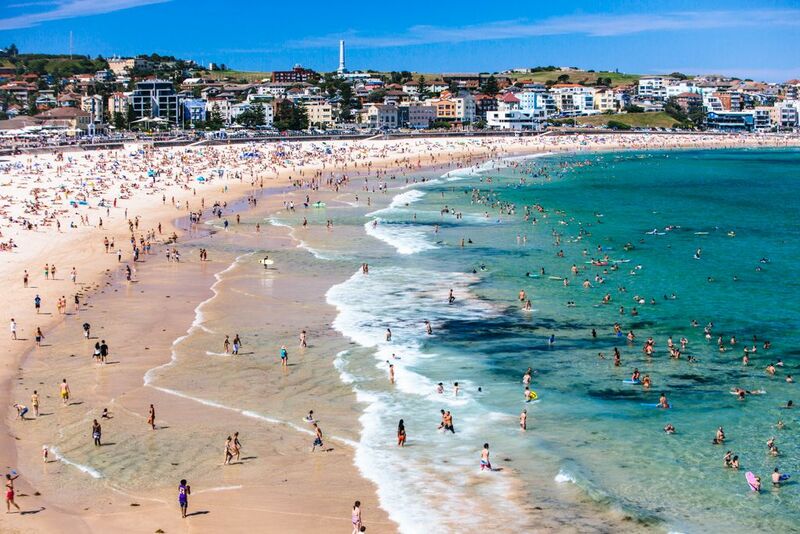 But I do know that whenever my next Sydney stint is, I’ll be spending some quality time in Bondi again. And I’ll definitely be doing the Bondi to Coogee Coastal Walk at least once more. In my opinion, this is the best way to spend a half day in Sydney. The full walk is only 6km, but you’ll definitely want to allot more time to stop and enjoy the beaches and views along the way. 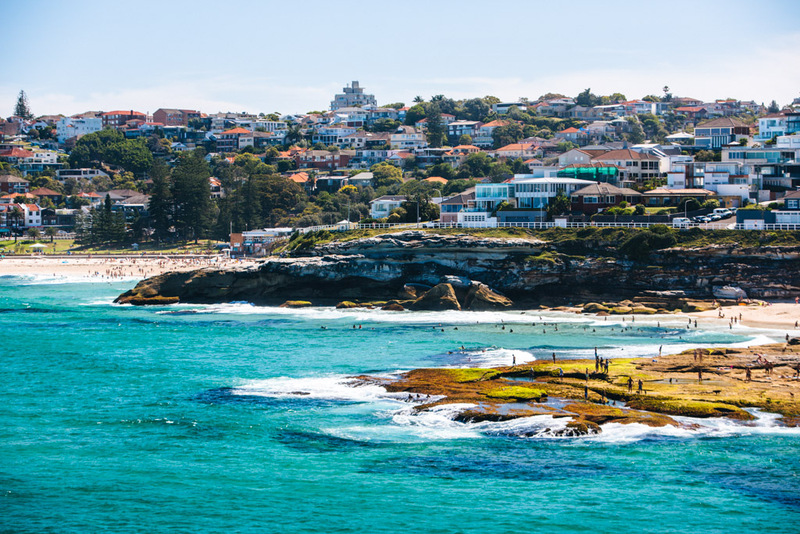 You don’t even have to do the full track – a popular stopping point is about halfway through, at Bronte Beach, and you’ll still get a great taste of Sydney’s coastline even if you end your walk here. Please oh please don’t listen to the locals scoff at Bondi and how touristy and cliche it is. 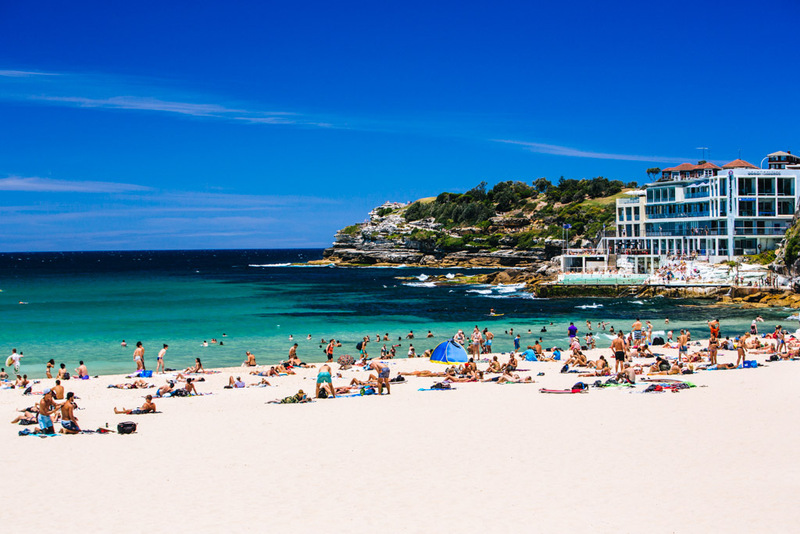 Bondi Beach is a Sydney must-do, and is worthy of at least a half day of chillaxing. 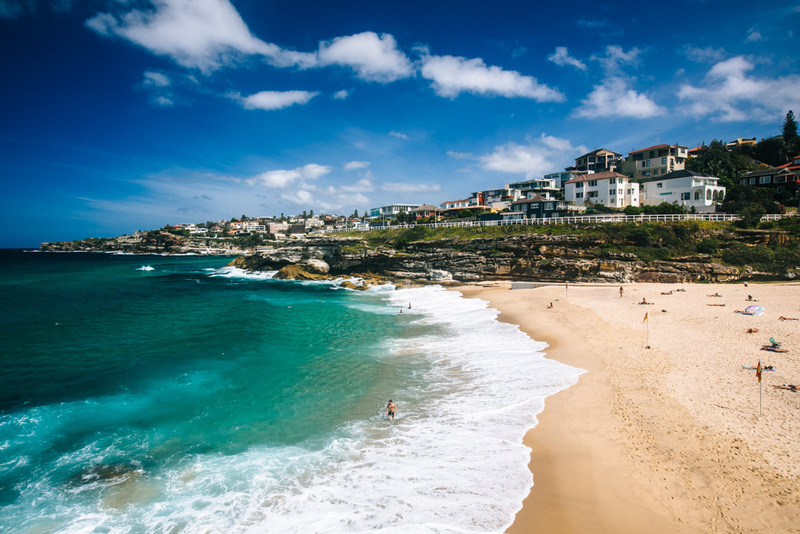 Bondi is one of the most beautiful beaches in Sydney. 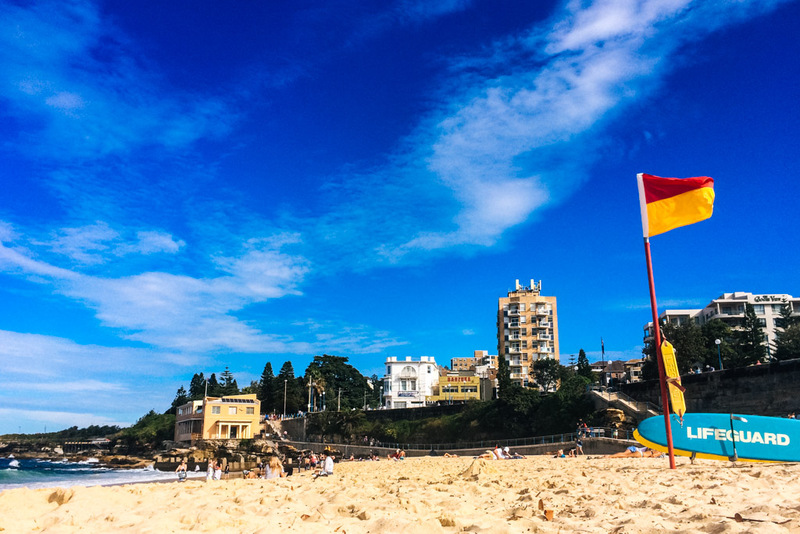 Yes, it’s one of the more developed Sydney beaches, but it’s fun to experience both the beach and the beach culture along Campbell Parade and Hall Street. Do happy hour at The Bucket List. Locals might scorn it, but it doesn’t get much better than $5 champagne at a table on the beach boardwalk. Outside of happy hour, everything is pretty pricey. 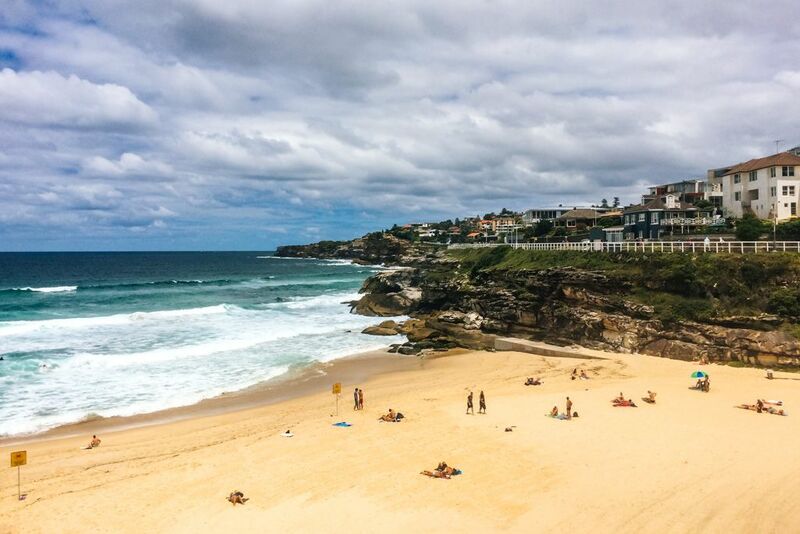 If you want to learn how to surf, Bondi is the place. It’s said to have gentler waves in some parts, ideal for beginner surfers. There are also a few outlets in town where you can sign up for surf lessons or rent a board and wetsuit. Grab a cone from Gelato Messina. Considered some of the best gelato in Sydney, Gelato Messina kills it with all sorts of unique flavor combos (e.g. poached figs in marsala, toast and butter with crunch bar, peanut butter with malt biscuits and nutella). 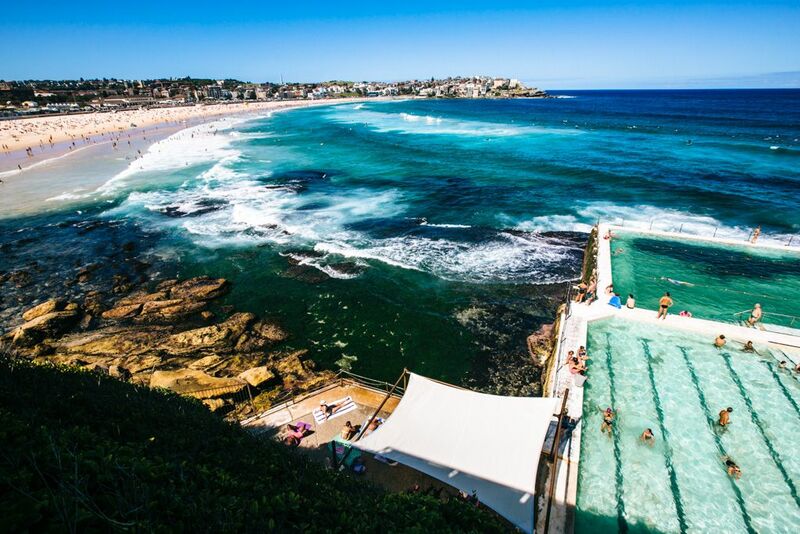 Swim and spa time at Bondi Icebergs. 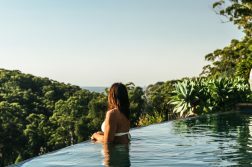 It may not be the frugal option, but paying for the privilege of swimming in one of the most beautiful ocean pools you can imagine is well worth it at least one time. AU$6.50 admission includes access to the pool and sauna. 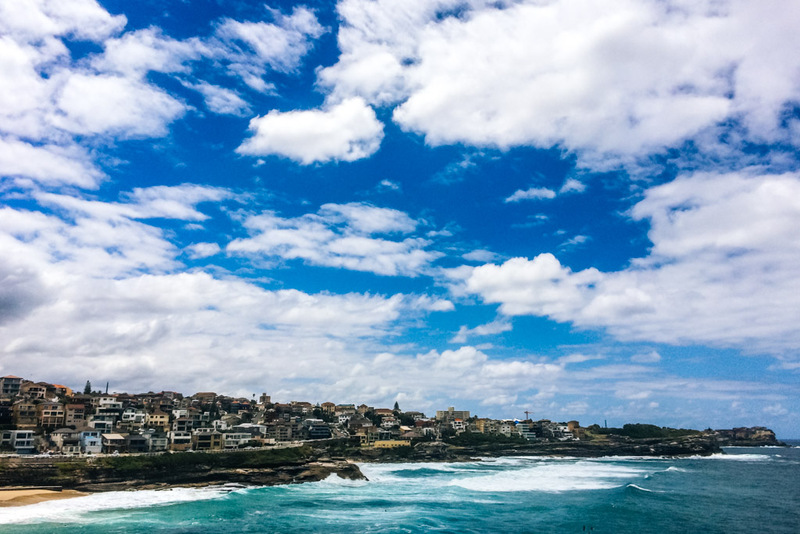 The Bondi to Coogee Coastal Walk begins near Bondi Icebergs. From there, follow the road for a couple minutes and then take the stairway down toward the ocean. 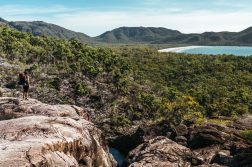 This segment of the trail involves some steep stair climbs, which are well worth the effort for the magnificent coastal views you’ll enjoy from above. 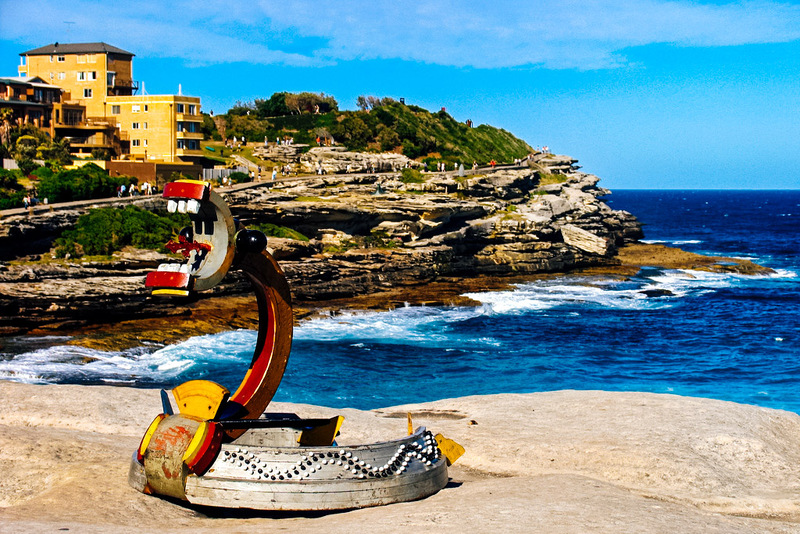 One of my favorite bits of the whole walk is just around the corner from Bondi as Tamarama Beach comes into view. 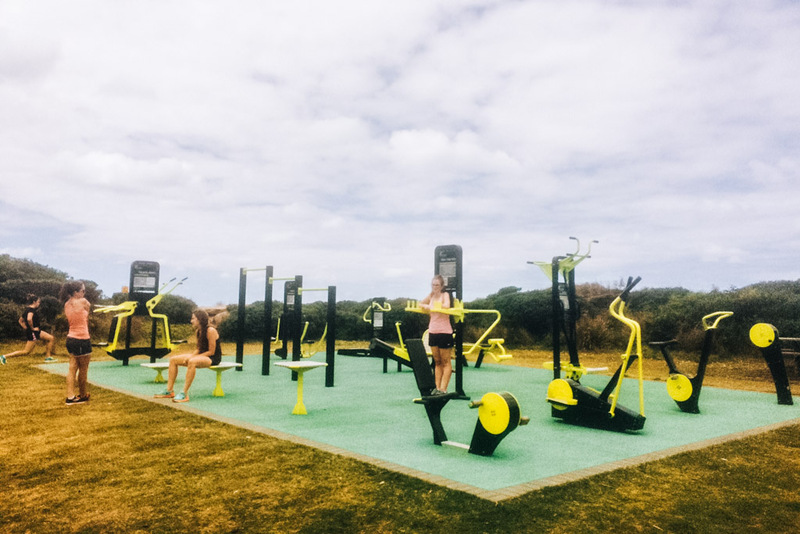 I used to like to have a quick workout on the outdoor gym equipment (with a view!) there. Just past that, there’s a small cove called Mackenzie’s Point Beach where you can swim in the rock pools at low tide and hardly anyone else will be there. Tama’s a beach beloved by locals and oft frequented by surfers seeking big waves. It’s often closed for rough surf, but you can still enjoy a picnic or a lay on the beach here. There are also some caves along Tamarama Beach where you can perch and hide from the sun for a bit. Continuing south from Tamarama, the track joins the paved road, then diverts down a staircase leading to Bronte Beach. 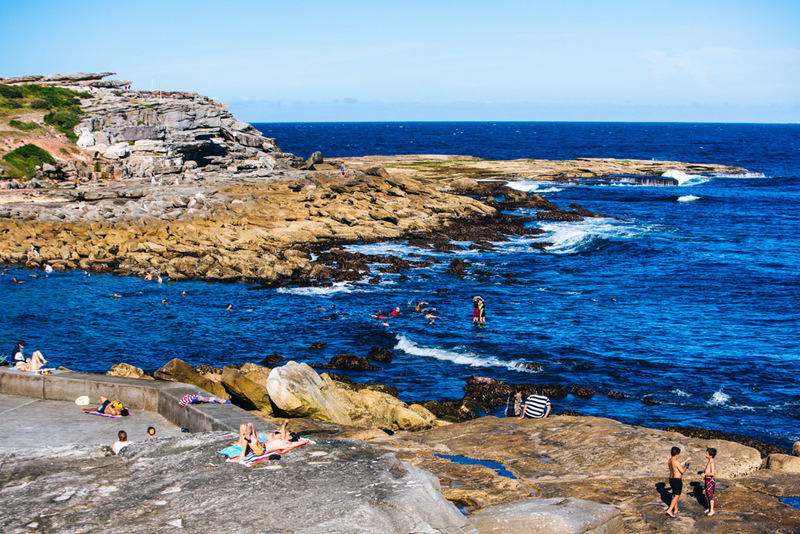 Bronte is surprisingly small, but also a local favorite for its picnic facilities, non-touristy beach, and rad ocean pool (which is free!). 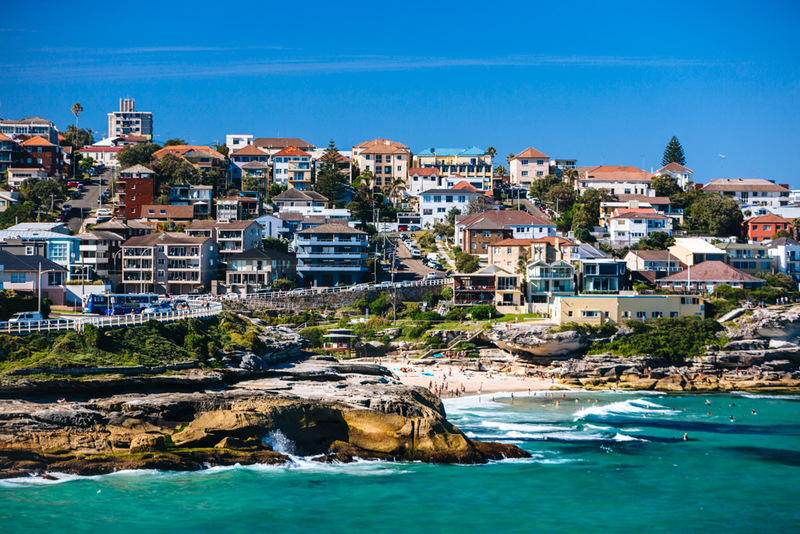 Being about halfway through, Bronte is a popular end point for the Bondi to Coogee Coastal Walk, but if you’re keen to keep going the track leads up some steep stairs from Bronte, joins the road for a few minutes, then separates again. The enormous Waverley Cemetery will soon come into view atop the sandstone cliffs as the trail turns into a proper boardwalk for a short time. If you’re doing the coastal walk as a workout, this is a great spot to do some sprinting and stair climbs since you’re on smooth wood rather than a dirt or stone path. Just south of the cemetery you’ll pass the Clovelly Bowling Club (side note: in Australia, they call bocce ‘lawn bowling’). Immediately beyond this is an outdoor gym area just next to the cliff edge. You can’t miss it because of all the neon green bars and lifting equipment. And even if you’re not doing this track for the purpose of working out, I think it’s just fun to stop off here and play on the bars for a few minutes. How often do you get to exercise in a setting like this? Note: I took this photo with my iPhone while in the middle of a run. My sweat may have fogged up the camera lens. 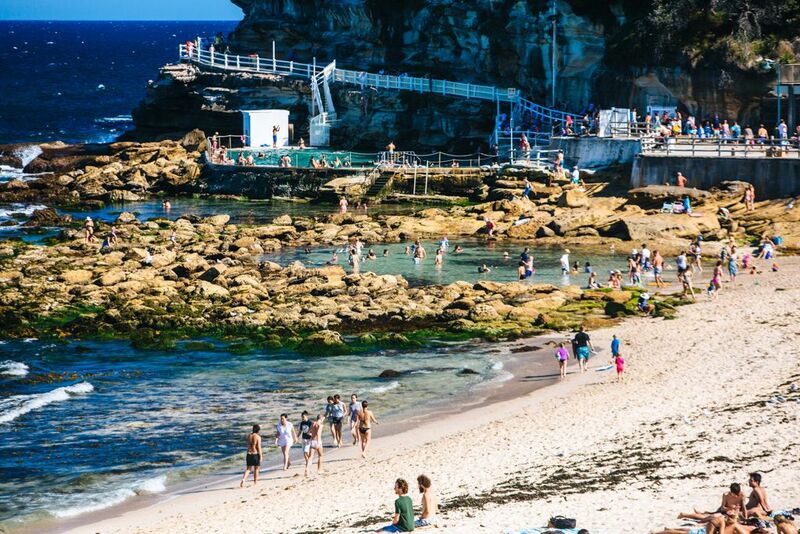 Continuing past the outdoor gym, the track approaches Clovelly (pronounced ‘clo-VEL-ly’), one of the most unique beaches in Sydney. I wouldn’t classify it as a particularly scenic beach, though. If it were a person, it would be super tall and skinny. 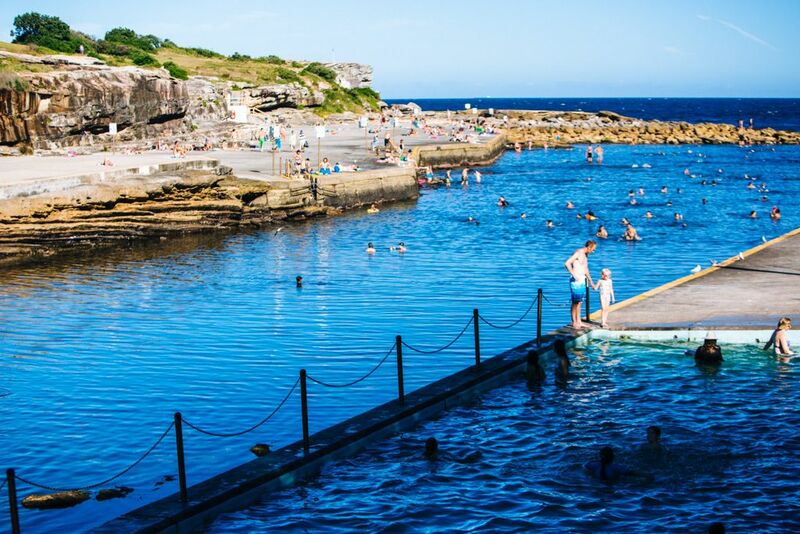 Clovelly is a narrow bay that looks more like a slice of a beach, if anything. The sand stretches pretty far from pavement to water, but the amount of coastline is quite tiny. 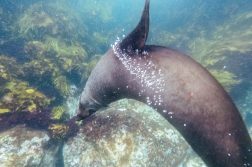 Similarly, the water stretches out far from the sand and is enclosed in a sheltered pool-like area. The ‘unique’ bit to it is that there are stretches of concrete on either side of the water, fit for laying out or jumping into the pool. You can swim out to the waves through the outer end of the pool, but the surf here is usually quite rough. 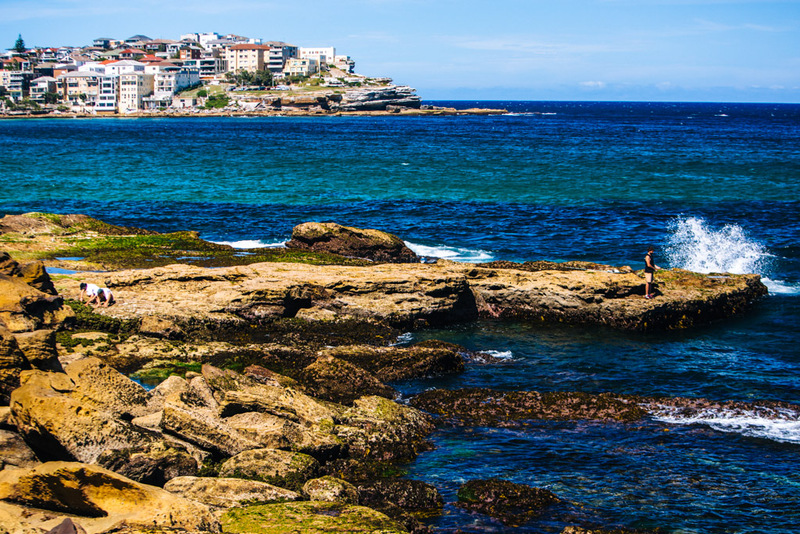 Walking south from Clovelly, Coogee Beach finally pops into your frame of view. Just before it is the very rocky Gordon’s Bay, a great spot for snorkeling. Coogee (pronounced ‘cud-gee’) is another good spot to wile away an afternoon. 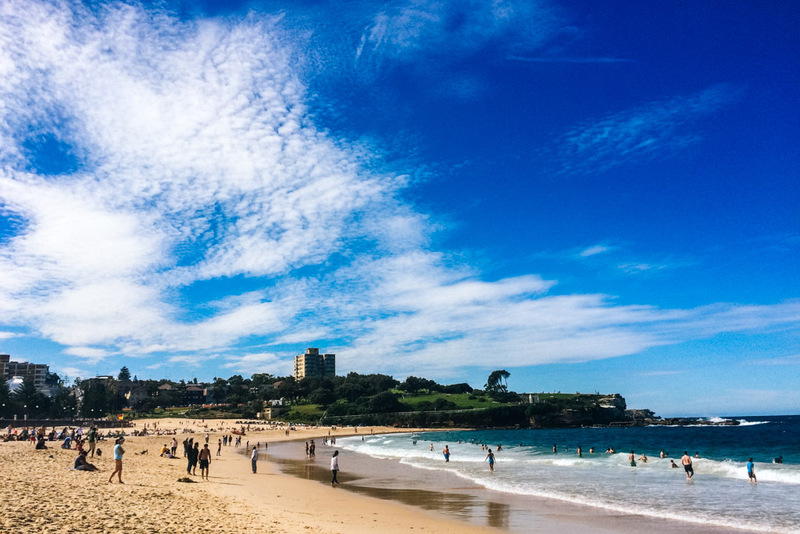 The beach is much more chilled out than Bondi and sees a lot of students who attend the nearby UNSW. Back in my Sydney Uni days, we held one of our Unimates BBQs at Coogee Beach as there are several grills here that are free to use. 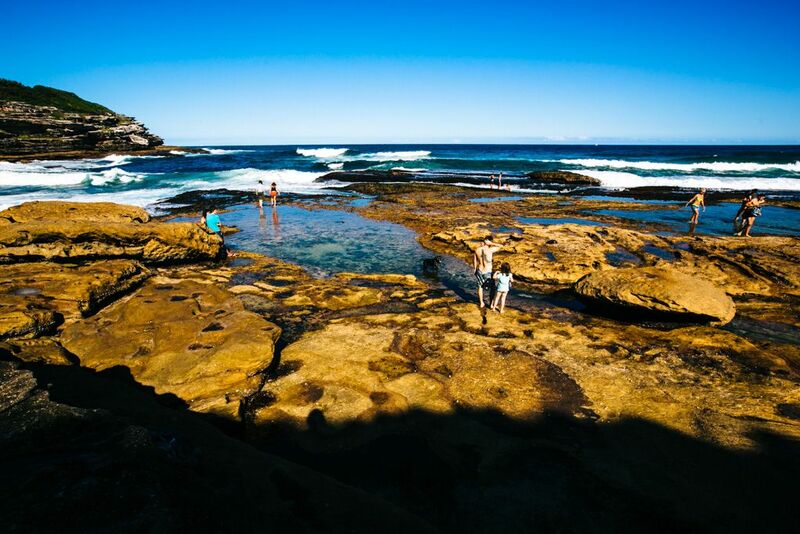 Rock pools are situated at both ends of the beach as well, though the surf at Coogee is almost never too rough for swimming. Go swimming at McIvers Baths. Australia’s last women-only ocean pool, which likely holds the cheapest admission price at AU$0.20. 20 cents, really! Fish and chips and Chish N Fips. How can you resist a beachfront fast food stand with an absurd name like this? Happy hour at the Coogee Bay Hotel’s beer garden. Coogee Bay’s made for people watching. You’ll find folks here who came straight from the beach in their singlets and board shorts to order cheap drinks and burgers during happy hour. And on the opposite side of the spectrum, you’ll spot others dressed up in button-down shirts and nice dresses who are out to be seen in the early evening hours. 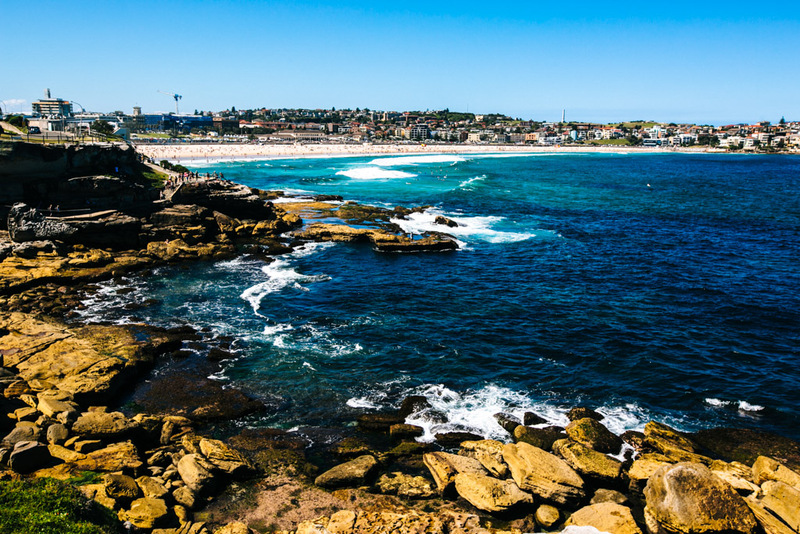 If you’re fresh off the Bondi to Coogee Coastal Walk, you’ll probably fall into the first category – but have no shame! 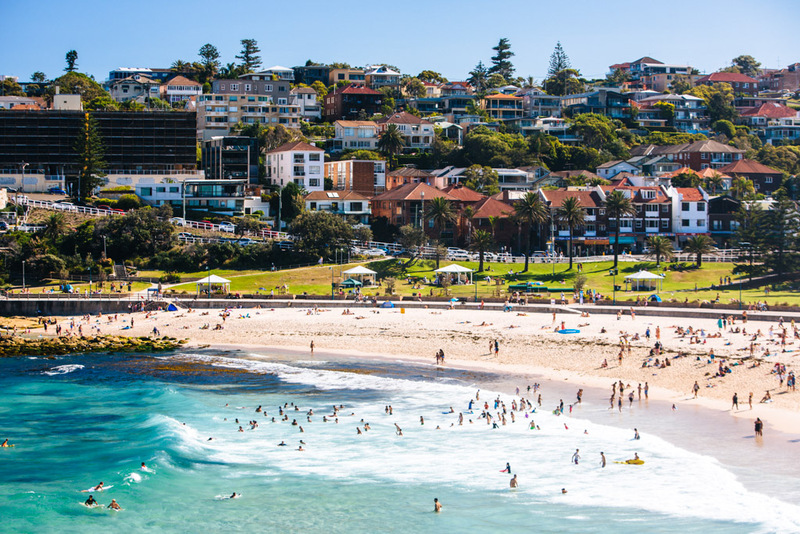 How to get there: Bondi and Coogee are both easily accessible by bus from Sydney CBD. 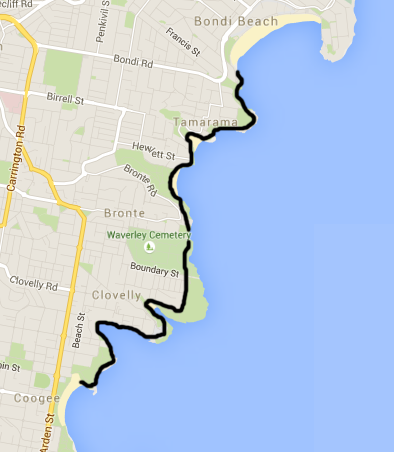 Take the 380/333 to Bondi, and the 372/373/374 to Coogee. How much time to allow: The full walk takes 1-2 hours if you go nonstop, but you’ll want to allow at least 3 hours and preferably a half day to enjoy the beaches and views along the way.